Dungeons & Dragons Movie Will Be Guardians of the Galaxy-Style "Romp"
A producer for the new Dungeons & Dragons movie has said tht the film be similar in tone to Marvel's Guardians of the Galaxy. Dungeons & Dragons has inspired a lot of creative content outside away from the tabletop. Books, comics, video games, cartoons; the franchise has made the jump to a variety of mediums with varying levels of success. When it comes to movies though, failure has generally been the name of the game. 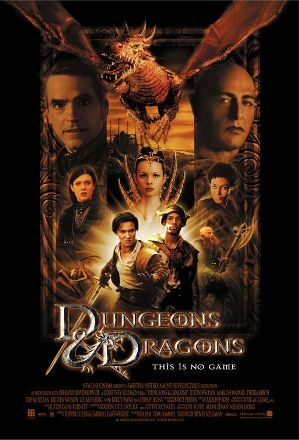 While some have been able to find redeeming qualities in the Dungeons & Dragons films, most would agree that they're just not very good. With the series being rebooted, many have been wondering what direction the next D&D flick will take. According to recent statements, it looks like it might take some cues from Marvel. More specifically, according to producer Roy Lee, the new Dungeons & Dragons will be similar in style to James Gunn's Guardians of the Galaxy. "This new Dungeons & Dragons will be a Guardians of the Galaxy-tone movie in a Tolkien-like universe." Lee would go on to say that the film will have the "earnestness" of The Lord of the Rings but will feel closer to a "romp" akin to [Raiders of the Lost Ark]. "I feel [that's] something the audience has not seen before." While we'll have to wait and see how the end product turns out, this personally sounds like exactly what I'm looking for. Genre films have been far more prominent in recent years but good fantasy flicks (based outside of Middle-Earth) are still kind of rare. If Dungeons & Dragons can even just be decent, I'll consider it a win. Here's hoping that Warner Bros does the franchise justice.